Our 100% online Drug Free Workplace training assists employers with their workplace drug abuse prevention program. The course can be taken as Initial or Annual Refresher training. Training topics include: Drug Free Workplace Policy, the Supervisor’s Role, Addiction and Intervention, Performance Problems, Handling Situations, Documentation, and Employee Assistance. Employee use of alcohol or drugs can create high risk for occupational accidents and injuries, increasing the need to incorporate Drug Free Workplace training in an Employer’s overall Health and Safety program for employees. Our online Drug Free Workplace training was designed to assist employers with their substance abuse prevention program in the workplace. The training will cover topics such as: Drug Free Workplace Policy, the Supervisor’s Role, Handling Situations, Performance Problems, Addiction and Intervention, Documentation, and Employee Assistance. The training can be used as an Initial course or an Annual Refresher. This is a 100% online, fully narrated course. The training is self-paced and available 24/7 through our state-of-the-art Online Training System (OTS). This human resource training course should be used as part of an overall Drug Free Workplace Program and Policy provided by employers. You must be trained by your employer on all the policies and procedures, hazards, equipment, engineering and administrative controls, safe work practices and emergency plans specific to your role and workplace. The objective of this Drug Free Workplace course is to assist employers with their substance abuse prevention program in the workplace, and help improve worker safety and health through education on drug free workplace programs. This course consists of 1 section, which is fully narrated within our Online Training System (OTS). Once the course is completed, you will immediately be able to download, save or print the Workplace Drug Free Certificate of Course Completion which is provided in PDF format. 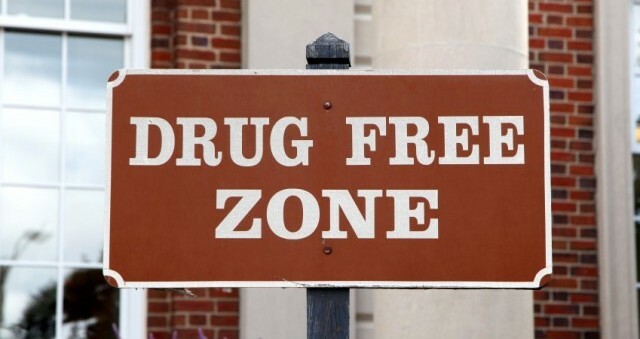 For additional information, the U.S. Department of Labor has a webpage listing a number of resources and links to assist employers in creating a drug free workplace policy, implement workplace drug testing, and design a drug free workplace program.